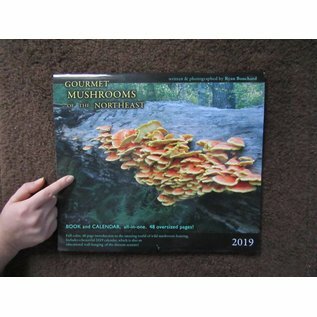 A beautiful oversized wall calendar for 2019, and a mushroom hunting book, all in one. 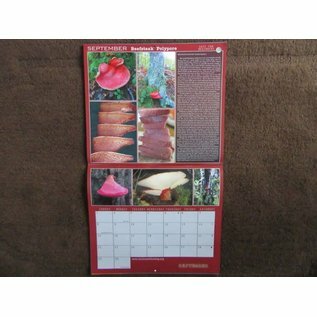 That’s right, each calendar actually contains a 48-page book! Full color oversize pages, with over 240 photographs from our region and a wealth of information. Learn how to safely find, identify, cook, and enjoy our region’s edible wild mushrooms. 48 pages in full color, with a sturdy black grommet in the cover. 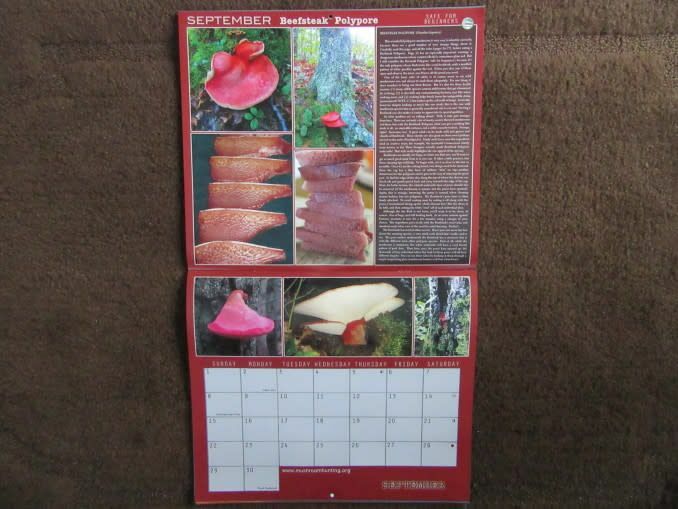 For beginners it’s the perfect introduction to this most fascinating hobby—yet there is plenty that will interest the experienced mushroom hunter as well. 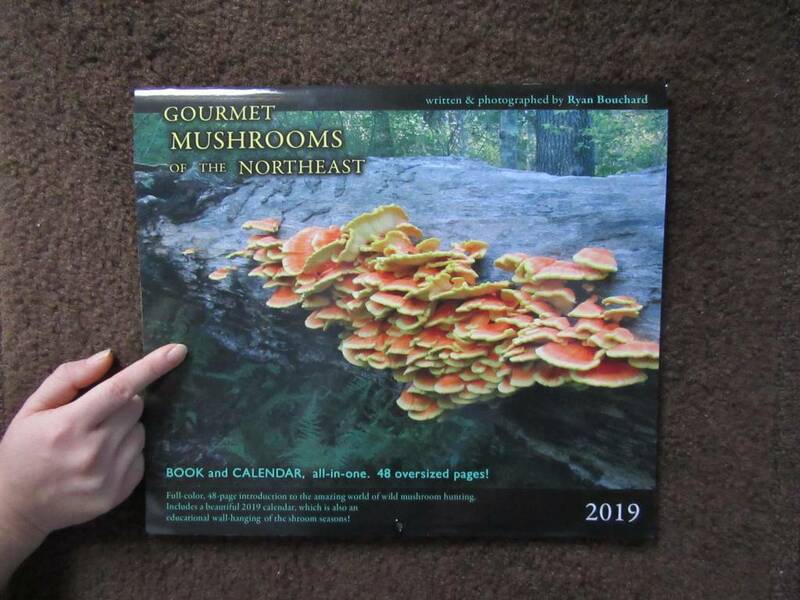 It is written, photographed, and graphically designed by Ryan Bouchard, author of “Gourmet Mushrooms of Rhode Island 2015”.